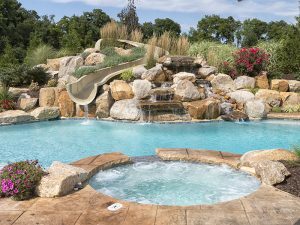 What’s It Like to Work with a Pool Designer? 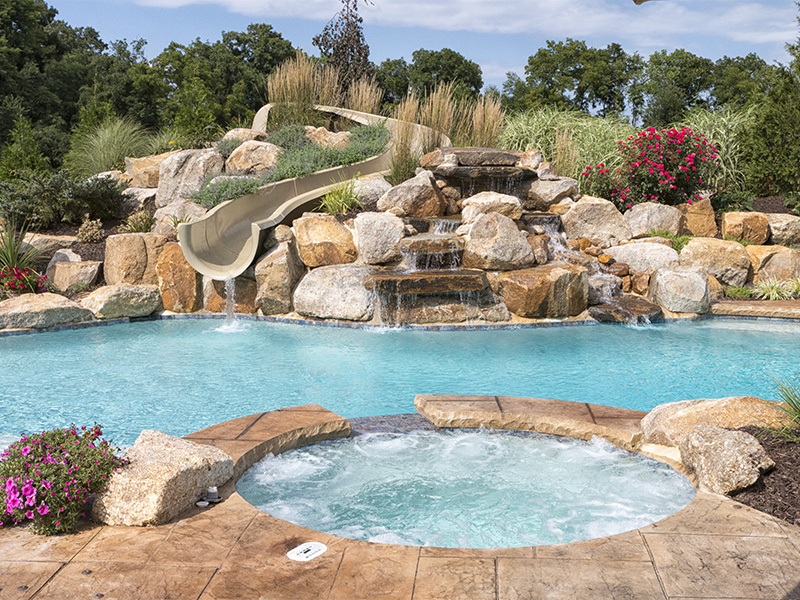 Fronheiser Pools > Blog > Pool Tips > What’s It Like to Work with a Pool Designer? There’s a typical routine when you commit to a pool purchase. Often, the company you’re working with sends a designer to your home. 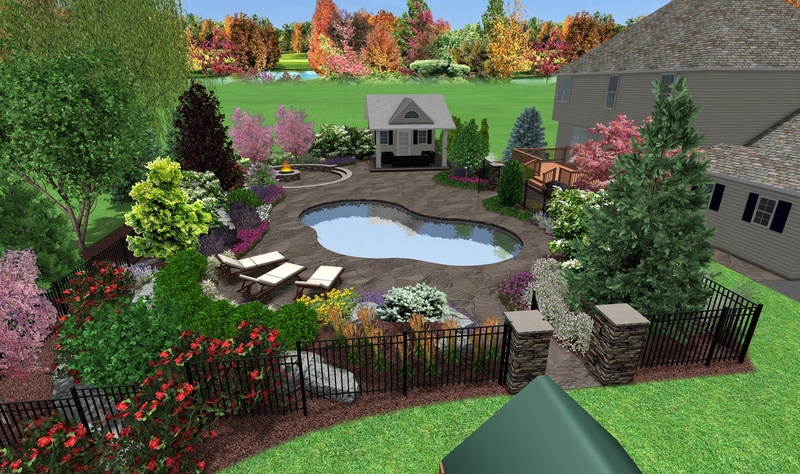 You’ll discuss how you want your pool to look, what features you want, etc. and make the majority of the decision about pool. Then, the designer goes away and relays your wishlist to the team. At Fronheiser Pools, however, we do things a little differently. While many other pool companies in the area follow this process, we saw a need to make some changes. We realized that when a designer comes to your home asking you to decide on specifications, it’s easy to get overwhelmed and feel like you’re making very big (and expensive) decisions blindly. This leaves many customers a little nervous between the design talk and installation. When you work with Fronheiser on your pool, we begin here at our showroom where you’ll meet with our design center. Here, you’re able to speak with a design expert about your vision, and that person can walk you through our showroom and help you select the materials, colors, styles, sizes, etc. that are right for you and the pool you’re seeking. At our Bally showroom, you can walk through our pool park to get ideas for your pool’s shape, size, and features. You can also check out our spas, hot tubs, pool accessories, patio furniture, and more. This way, you have the opportunity to see each option in person, touch it, see how it pairs with other options, and make an informed decision you can be confident in with the help of a design professional on site. Our showroom and conjoining design center aren’t the only ways we help customers get what they really want. 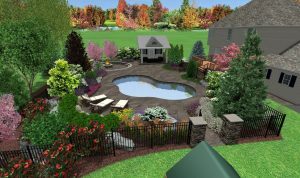 We also use a state-of-the-art 3D program that allows you to see what your finished pool will look like before we ever break ground. 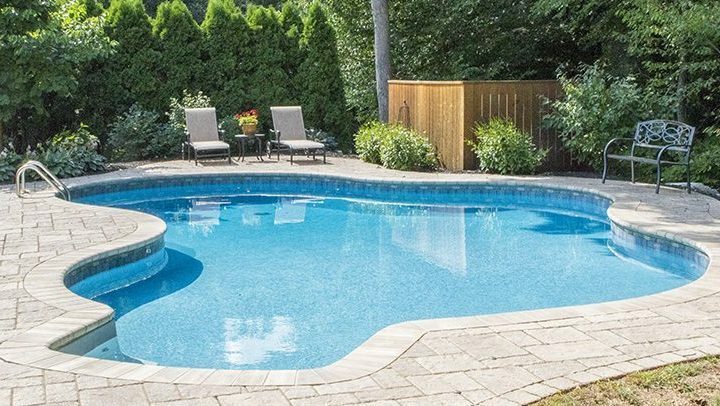 You can see from all angles how your pool will look in your yard and how it complements your home, you can alter placement of features and the pool itself, change the dimensions or materials, decide on equipment and landscaping, and more. We take these measures because we want our customers to be 100% happy with their final product. 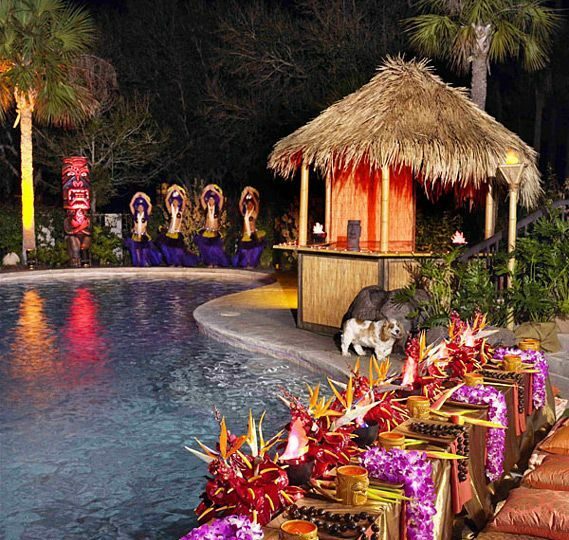 We want them to love how their pool looks and feel as though their vision was brought to life. Our team wants them to also get this quality and satisfaction while also saving money, so we use this thorough, hands-on process as a chance to make all decisions before construction begins so you don’t end up adding on extra expenses for changes later. 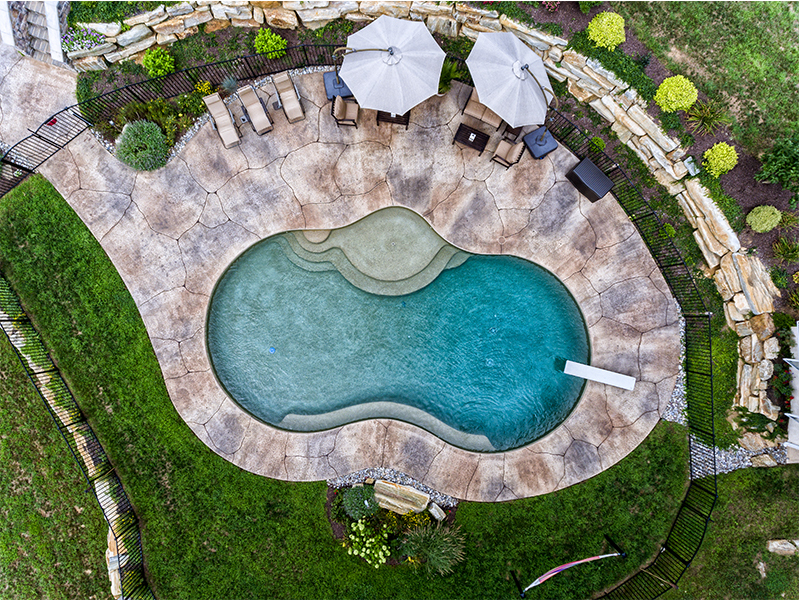 So, if you’ve been thinking a pool is the next step for your home this summer, come see us at our Bally showroom and let us show you why Fronheiser Pools is the best partner for your pool experience! How Are Swimming Pools Made? Could Your Pool Use a Renovation? Pool Party Season Is Arriving!